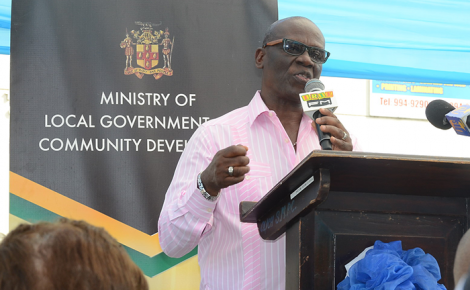 A sum of $500 million has been allocated for the rehabilitation of 47 kilometres of road structures in Trelawny, Clarendon and Manchester. Work will be undertaken on the roadway from Stettin to Highgate Hall in Trelawny; from Soursop Turn to Danks in Clarendon; from Danks to Mear Bridges, Trout Hall in Clarendon; and from Williamsfield to Greenvale in Manchester. This will be carried out under the Rural Road Rehabilitation II project being implemented by the Ministry of Economic Growth and Job Creation. As outlined in the 2017-18 Estimates of Expenditures, now before the House of Representatives, the project, being funded by the Consolidated Fund, aims to facilitate socio-economic development and integration in the parishes. The anticipated target for the next financial year is the completion of construction of the Soursop Turn to Chapelton Corridor, by concluding the remaining 21 per cent of civil work activities. The incomplete work includes earthworks, drainage, pavement works and concrete work. 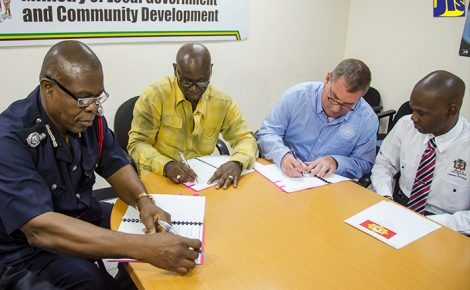 An additional $167 million has also been included in the Estimates of Expenditures for the improvement of approximately 57 kilometres of roadway in Westmoreland. 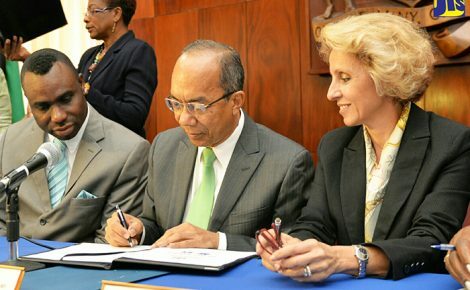 The Ministry is expected to, in the next fiscal year, complete negotiations for 20 parcels of land and also award contracts and commence civil works on the Broadgate to Agualta Vale Road section. The Government has also allocated $150 million for the rehabilitation of irrigation infrastructure to reduce water losses and operational costs in the mid-Clarendon Irrigation System. The project, being funded through the Consolidated Fund, is being implemented by the National Irrigation Commission. The targets under the project for the fiscal year include the repair of 8,000 feet of damaged canals on the Old Milk River line; the replacement of pipes on Pipe Canal Line 39 and in the upper and lower Rhymesbury area; the repair of 5,000 feet of canal that is caving in, as well as the relining, repair and replacement of several other pipes and canals in the region. Meanwhile, the Government has also allocated $600 million to facilitate payments for works in areas critically damaged as a result of flood rains experienced during the 2016-17 fiscal year.